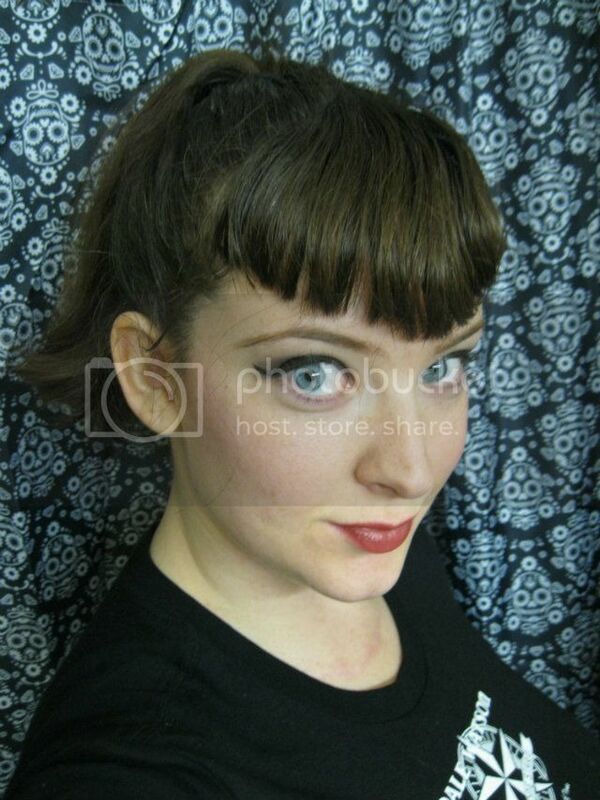 Do you like the pin up look, but don't want to go all out ALL the time?! 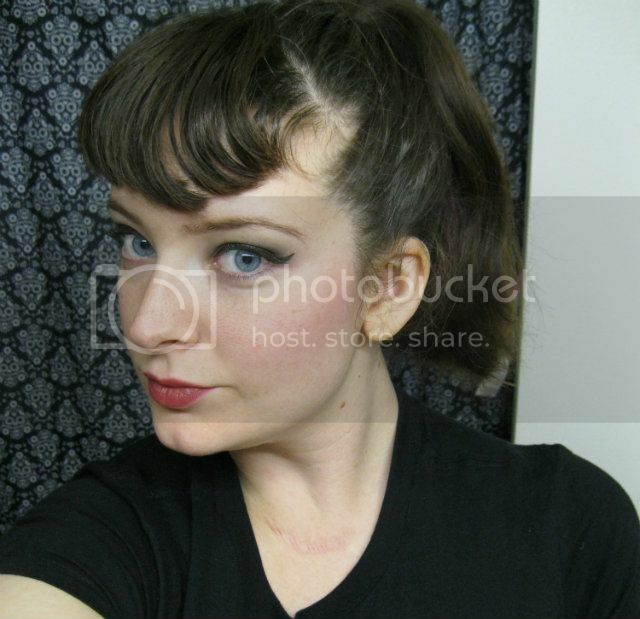 I'm going to show you what I use to do a very subtle pin up look that you can wear any time, anywhere! 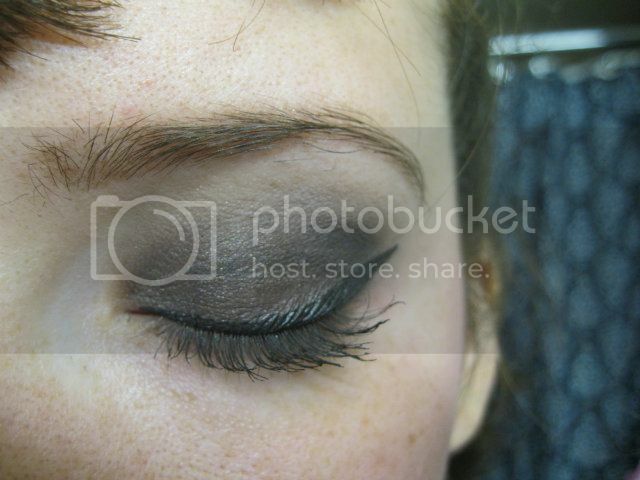 For a very subtle pin up eye, I used a smokey effect to make the liquid liner a little less noticeable. I used an Urban Decay eyeshadow primer and Stila's Ebony and Bone shadows from the "In the Light" eyeshadow palette. You can use whatever similar colors you prefer! 2. Dip the tip of your brush in the Ebony shadow (or dark shadow of your choice) and cover your lid from lash line to crease. Make sure you blend out enough so your shadow ends up grayer as it reaches the crease. 3. Without using any shadow, take the dark shadow brush and make a windshield wiper action IN the crease from tear duct to the end of your lash line. This will help the shadow blend look a little bit more gradual. 4. 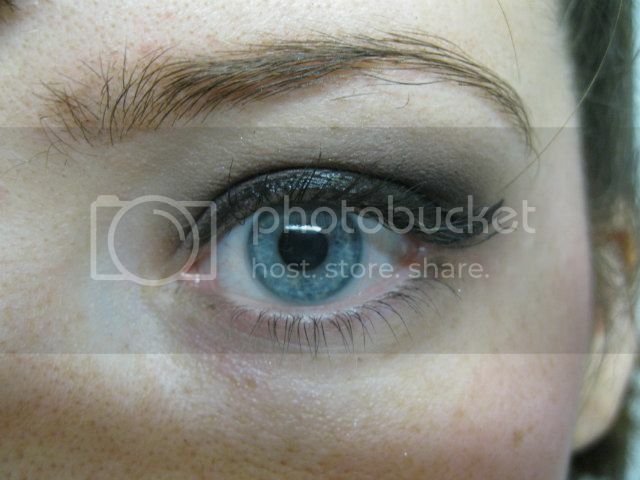 Sweep the liquid liner across your lash line into a cat eye (I will show you how to do this in a different post). 5. Don't forget your mascara! I go cheep on mine. 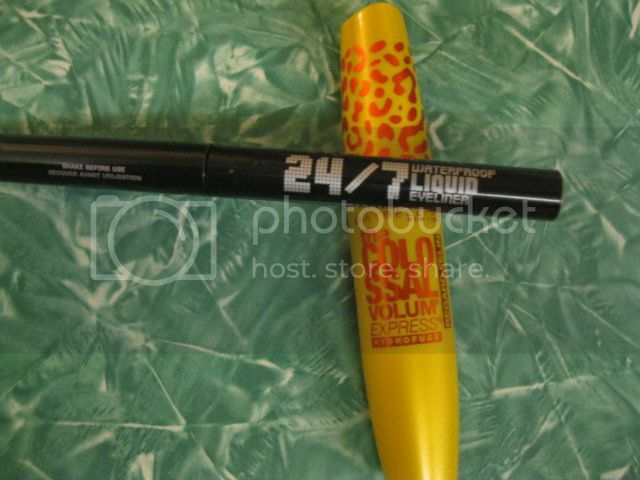 I love Maybelline's the Colossal Volume Express waterproof. It doesn't smudge and it looks just as fancy as the expensive crap! 6. After you have finished both eyes, dab a little concealer or eye brightener under your eye (where bags and dark circles occur). I LOVE Benefit's Ooh La Lift...it's greta because it doesn't crease and it looks bright! This brightens up the eye area and also helps to get rid of any dark shadow that may have landed under your eye causing a fake dark circle! 1. Sweep a bright, but natural colored blush on the apples of your cheeks and blend it out a little bit to give you that rosy glow! I used Frisky by Tarte. 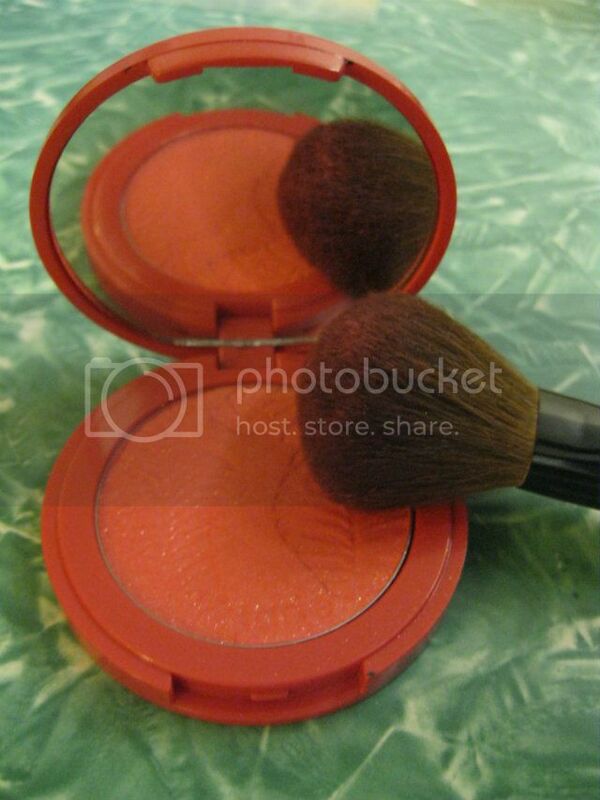 I think they have really vibrant blushes and you don't need to use a lot to get the desired effect. 1. Use a light brick colored red tone for your lips. You still get the pin up pout with a little less sass. 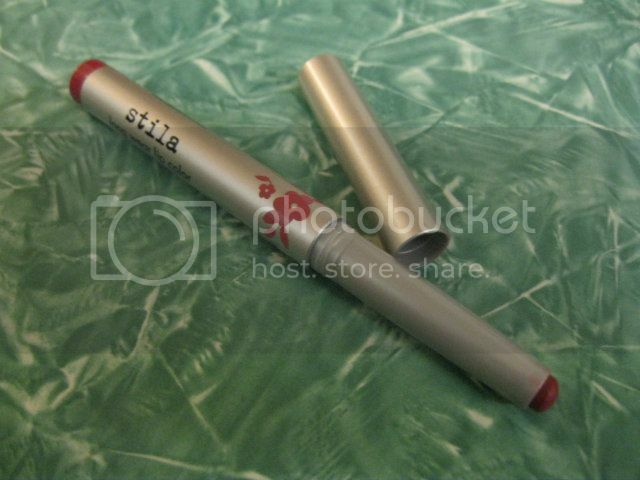 I used Stila's Long Wear Lip Color in Paramour. I totally wear this look to work, but I'm also usually a LOT more made up on my days off. Try it out and tell me what you think!